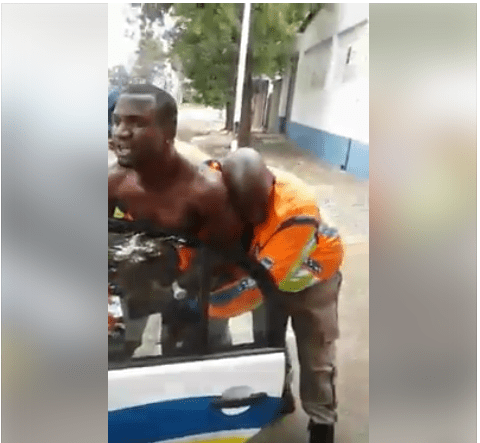 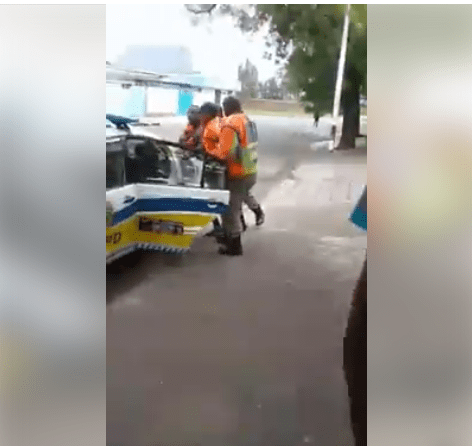 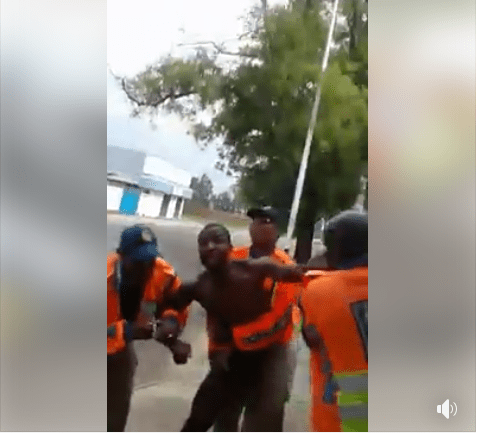 In the process of his forcefully arrest, the Nigerian man was allegedly stripped Unclad as he was tried to be bundled into their vehicle. 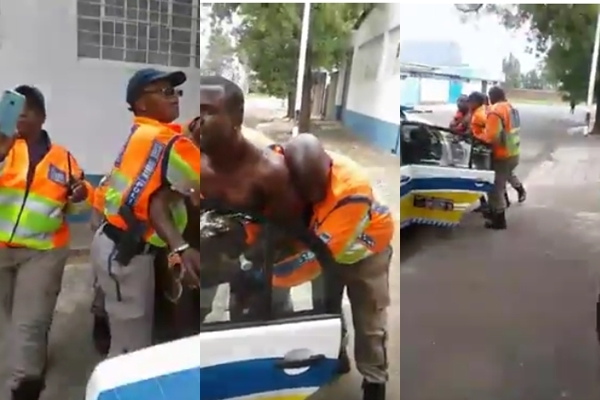 Nigeria government see what South African Government are doing to Nigeria in South Africa, n*ked him, heating him on his p*nis because of driving Licence of which his friend said he got. 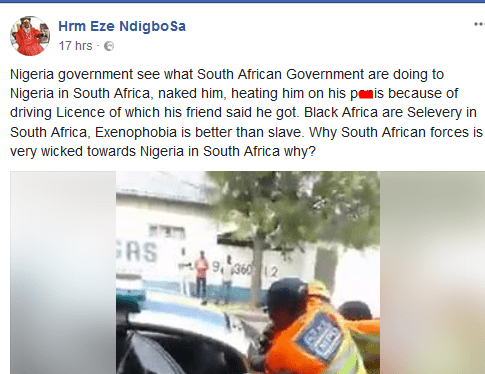 Black Africa are Selevery in South Africa, Exenophobia is better than slave. 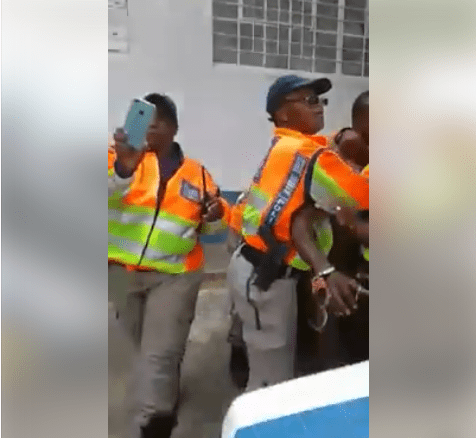 Why South African forces is very wicked towards Nigeria in South Africa why?